The MTG EZ-Advancer Closed Catheter System features the patented EZ-Advancer valve which allows you to insert and advance the catheter tube without it retracting back. 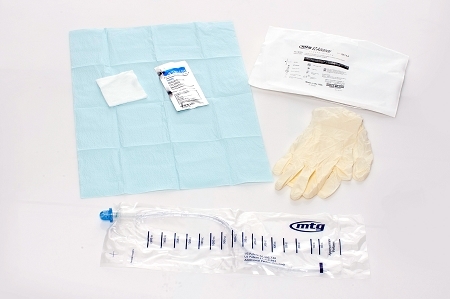 The EZ-Advancer Intermittent Catheter Kit consists of a sterile, pre-lubricated, vinyl, straight tip, 16" catheter with introducer tip, self-contained in a 1500ml collection bag. Case of 100.